Back in Janurary on our passage from Antiguia to St. Croix, it was necessary to keep hot coffee flowing for nightly watches. The coffee? A vintage metal percolator on a gas stovetop clamped into position on a piviting stove top. The coffee was strong and hot. It was kept very hot by a novel idea...a 25 year old thermos bottle. I had forgotten about the simple pleasure of owning and using a thermos. Gigi and I used to keep one for traveling until one day the glass inner container broke and the vacuum seal was distroyed. For some reason I never replaced it. 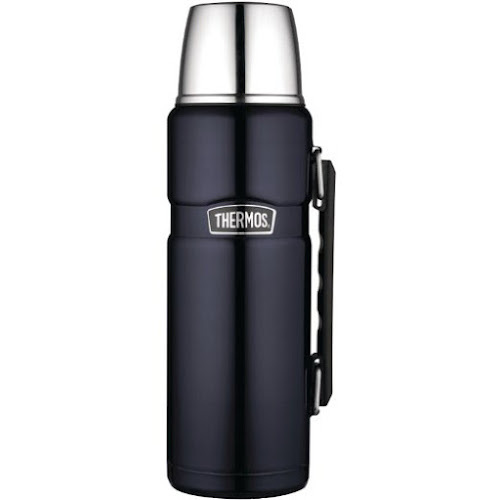 So impress I was that I just ordered a new one liter thermos from Amazon for $28. Goodbye hourly stops not for coffee while traveling up the highway.